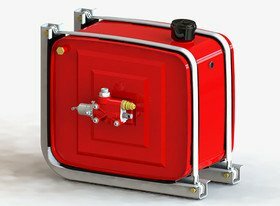 Binotto offers an extensive range of rear mounted hydraulic oil tanks, in steel material and are finished in grey RAL 7021 epoxy powder coating. 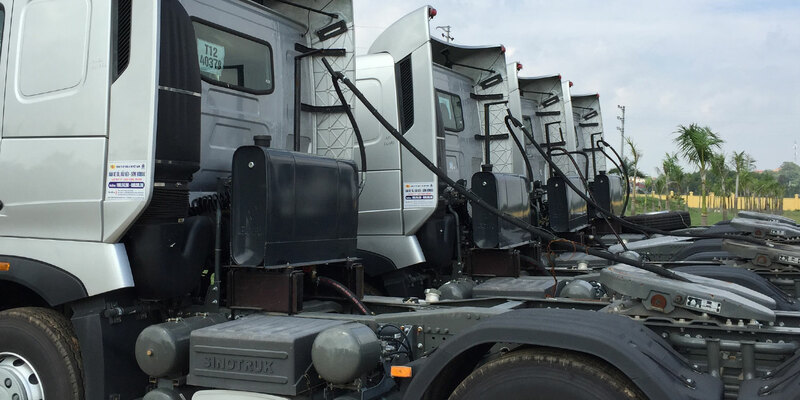 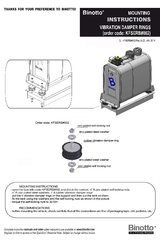 Bespoke mounting kits, brackets, cradle, supports, along with a special design of rubber anti-vibration mounting kits are all manufactured to ensure installations to be easy and uncomplicated. 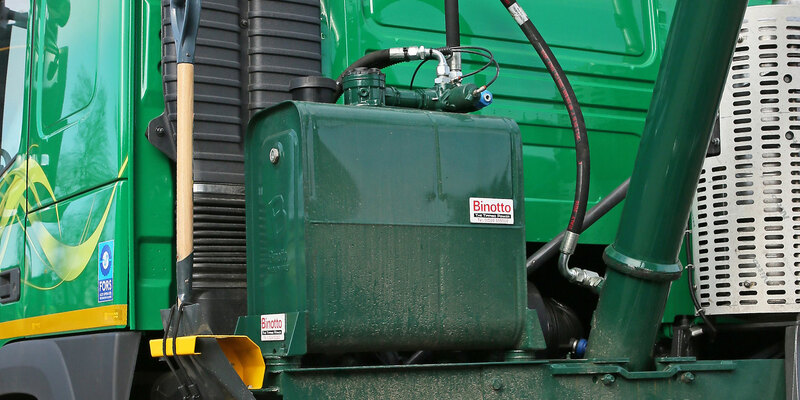 With a range of variants in sizes from 40 litre capacity up to 220 litre capacity, Binotto rear mount oil tanks are suitable to fulfil all tipping requirements for any market, offering superior reliability and durability. 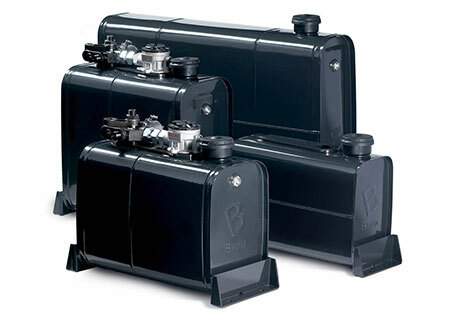 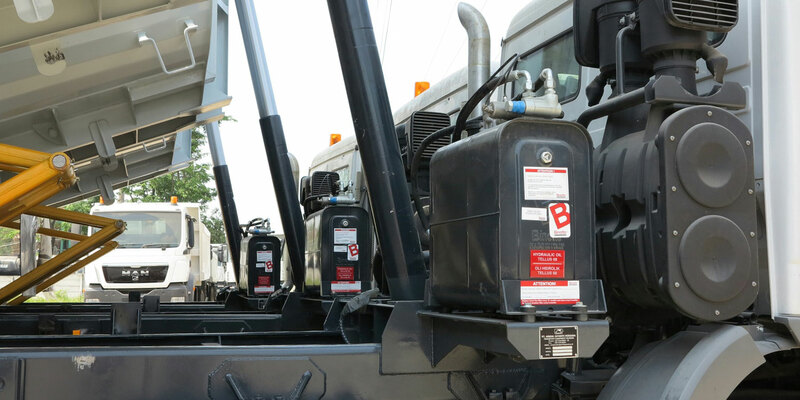 A large range of oil tanks have mounting plates to allow the installation of a proportional tipping valve and all are equipped with a 10 micron air breather filter and oil level indicators. 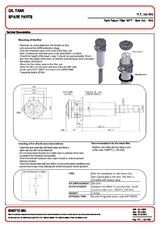 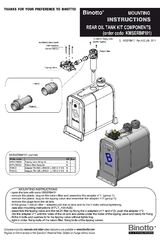 Optional 25 micron return line filters are available, along with additional components (such as ball valves, hoses, adapters, filler cap extension, ...) which can all be combined with our range of hydraulic oil tanks. 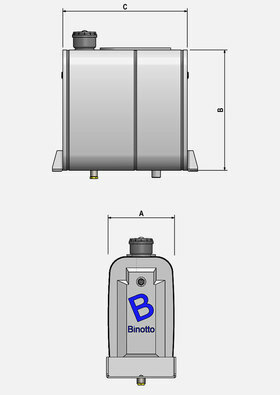 Heating, oil oxidation, turbulences, … From decades of experience in the tipping industry, the shape as well as the internal fluid baffle structure and each and every component of Binotto hydraulic reservoirs is designed for reducing all these negative effects during operation and for maximizing its robustness and reliability, also preserving lifetime of the other hydraulic components of the tipping system. 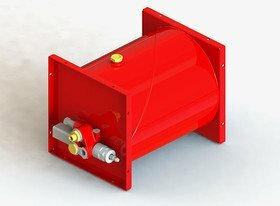 Robotized laser welding, accurate machining and advanced technology together with proven designs make our oil tank selection the perfect choice for the industry. 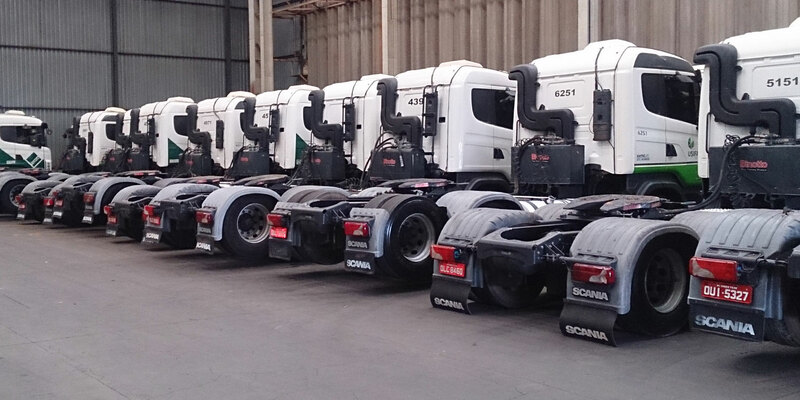 With such an extensive range, we can surely accommodate your requirements with our current selection. 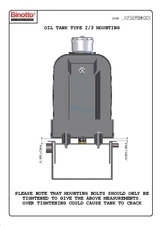 If there is a size not shown that you require please contact our team.